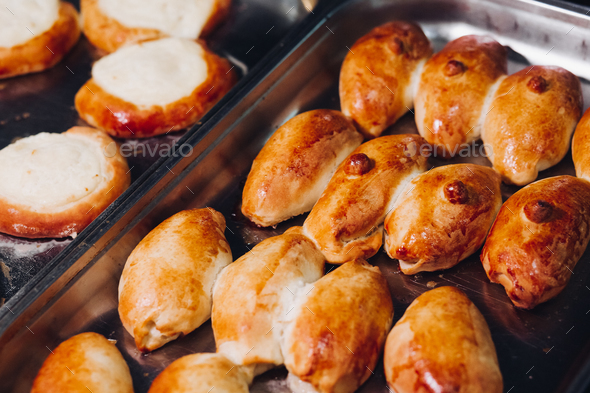 Delicious fresh baked flavored buns set made of sweet dough laying on big metallic dish standing in bakery kitchen. Looking mouthwatering, tasty. Laying near warm buns with cottage cheese feeling.